A man who worked at a Sheffield school has been locked up for two years after admitting child grooming offences. Michael Fletcher-Flint, aged 48, worked as the ‘premises manager’ at Outwood Academy City in Stradbroke when his offending came to light. He was jailed after appearing at Sheffield Crown Court and pleading guilty to attempting to engage a child in sexual communication and attempting to meet a child following sexual grooming. 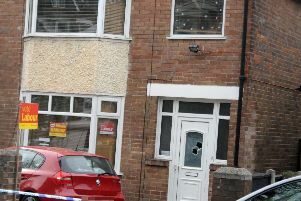 Fletcher-Flint, of Bonet Lane, Brinsworth, Rotherham, also admitted having an article with a blade or a point. The offences took place between August 2, and September 11, 2018. In a letter to parents with children at the school, Principal Andrew Downing stressed that none of the pupils were involved. Fletcher-Flint was suspended from his post at the school following his arrest and has now been sacked. He will not be able to work in schools again following his release from prison. Mr Downing’s letter said: “We have worked closely with the police and other agencies since his arrest and we terminated his employment at the earliest opportunity. “He has not been at the academy since his arrest and is no longer employed by our Trust. He added: “Whilst we understand and share your concerns, we wish to assure you that at no time were children at the academy at risk in relation to the charges that he has been convicted of.